Laura wrote to me about the Tappan stove that was in the kitchen of the house she bought in Tucson, Arizona. It's a Tappan Deluxe model # HAV 668 15G, Serial 206418. 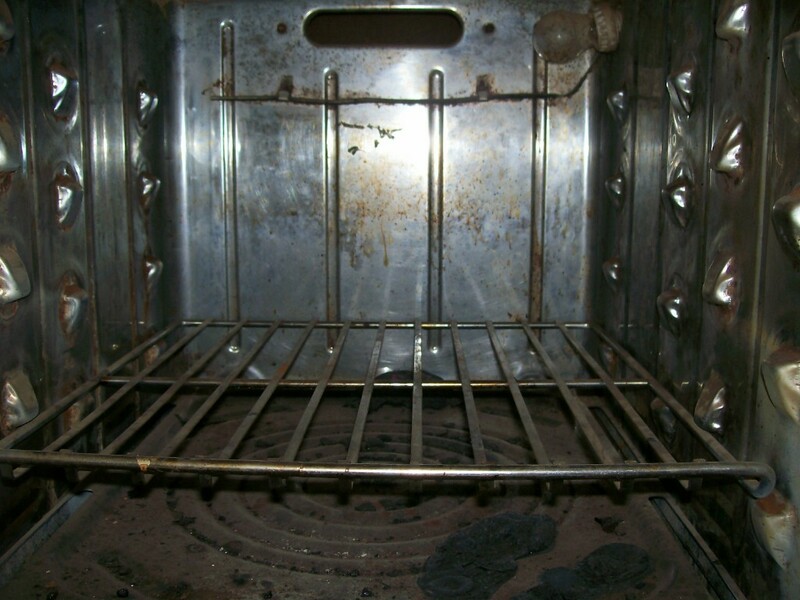 She described it as being in fair shape and working, but very dirty inside. 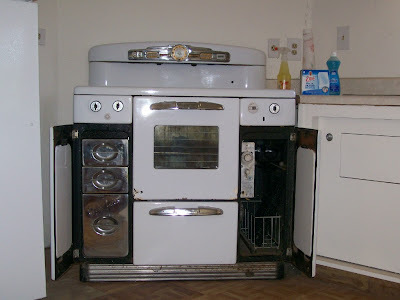 She is now in the process of cleaning the stove and replacing some of the missing parts. She has pryrogrates in the back burners, a nice chrome oven interior, Time Control clock, a foot pedal to open the broiler, a nice set of crisper drawers, both of the burner covers stored in the side doors, a pull out storage drawer and a pull out cutlery drawer. 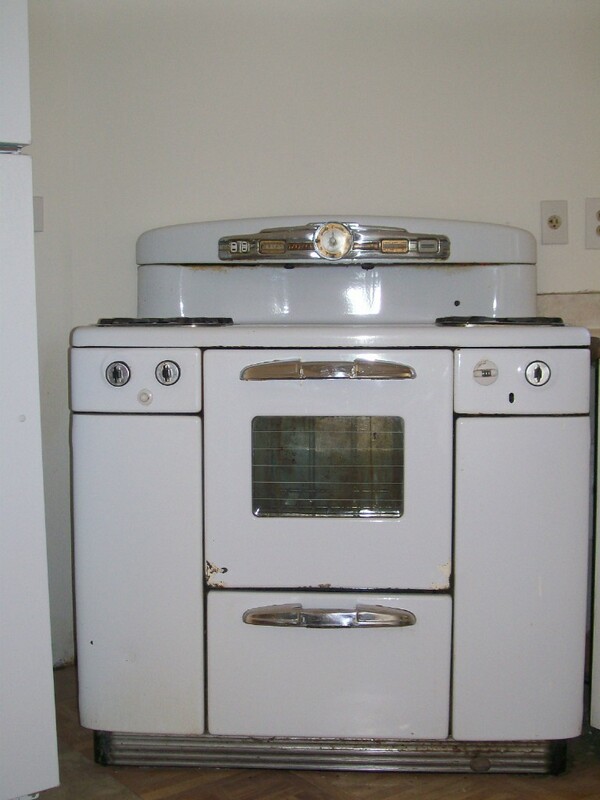 It's a cute stove that should clean up very well. I received these photos from Jim a while ago (sorry Jim for the delay in posting them!). He and his wife bought a cottage on a small lake in northern PA five or six years ago. 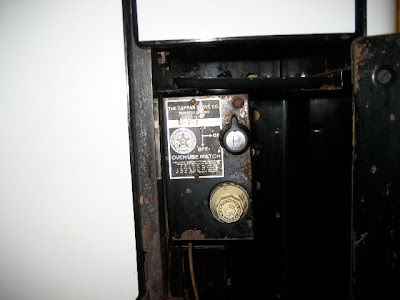 The cottage was built in the late forties. It was in rough shape so they fixed it up on weekends and vacations over several years. 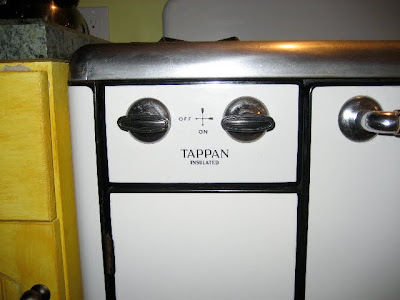 One of the few things they kept from the cottage was this old Tappan gas stove. They have been trying to learn the age of the stove but so far have had no luck. There is no serial # only W-A-7 stamped on the plate at the oven control. 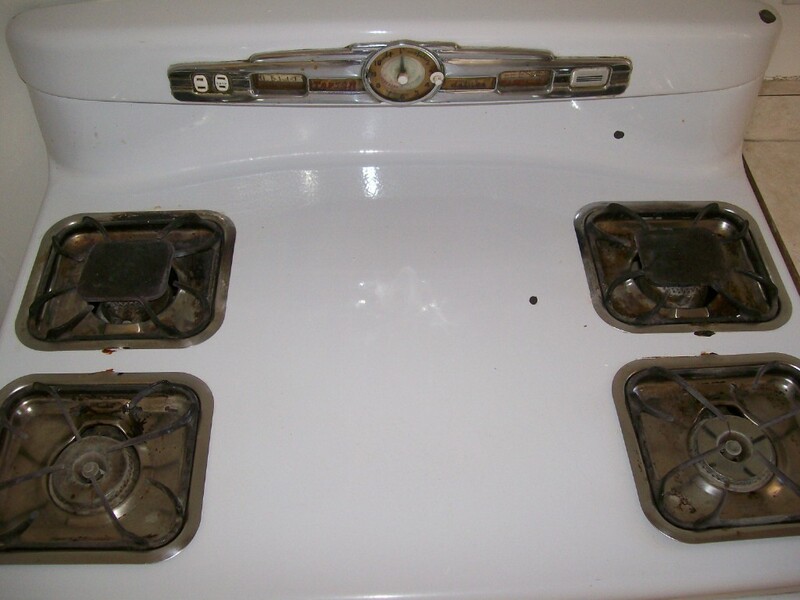 I took a look through my 1940's sales manuals and wasn't able to find any stove that looked like this one...or had features like it. By the 1940's the Tappans all seemed to be on a base rather that on feet. 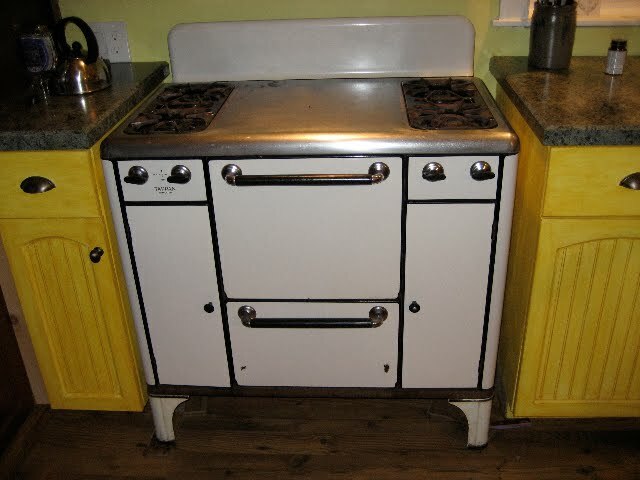 I would guess this stove would be from the early to mid 1930's (the charming feet look Deco to me). I especially love the chrome top - that is very special. I forgot to ask Jim if the center to the top of the stove works as a griddle. Thanks for the photos Jim!